Sewing Saturday! 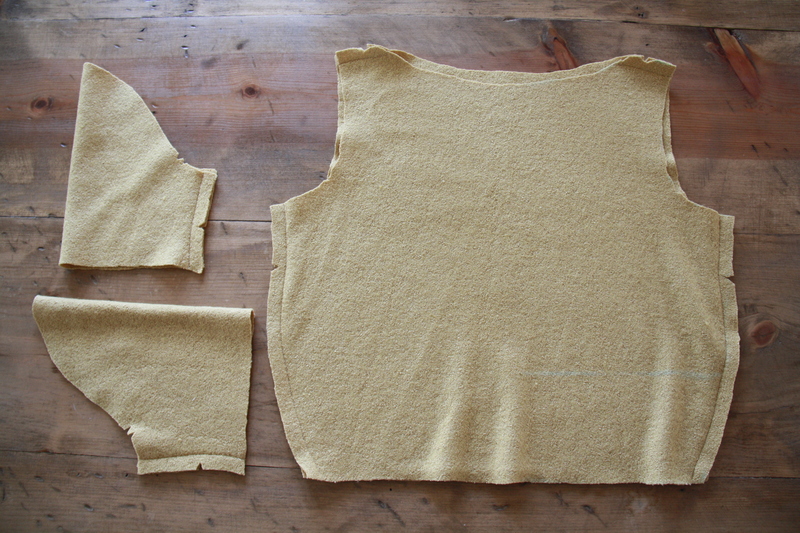 For this week, I sewed my very first boiled wool project - a cut-out top with short sleeves and boxy fit. 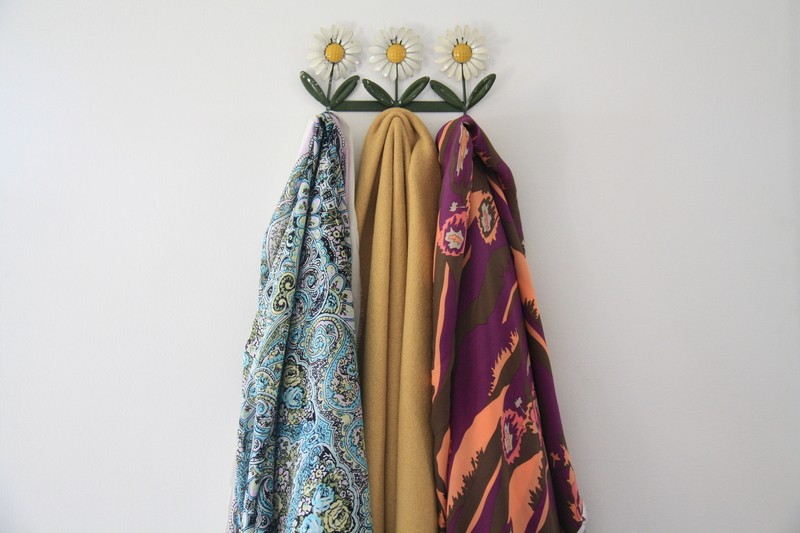 My last Mood Fabrics order included three yards of mustard colored boiled wool (similar to felted wool), along with symmetrical floral cotton voile and silk in a pop art print. More to come on those two fabrics later (I'm ninety percent sure that pop art silk is becoming a twenties dress). Boiled wool is something I've wanted to work with for awhile because it has generally has a heavier, structured weight and doesn't require any seam finishes. 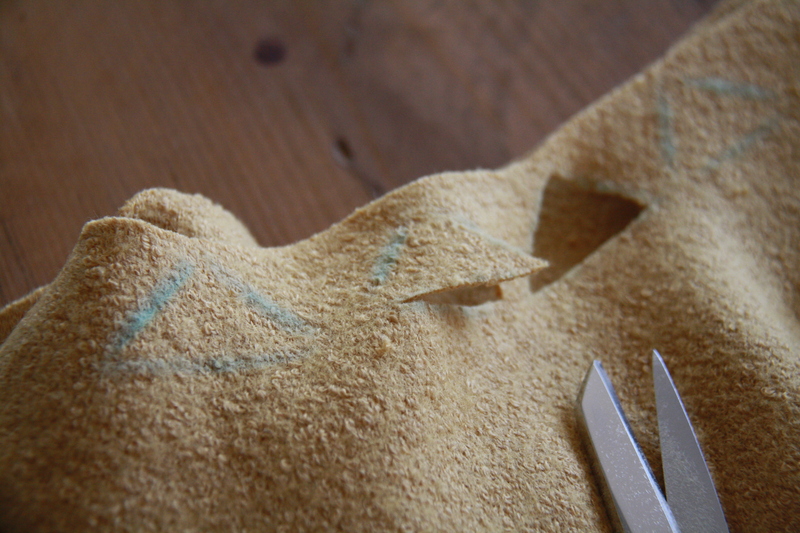 The edges keep their shape very well with no fraying. 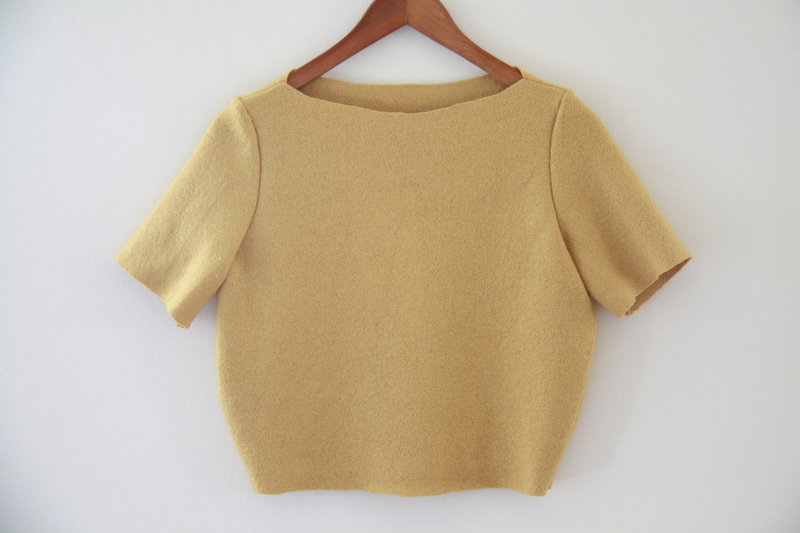 For that reason, I'm really eager to make a geometric, unlined jacket like this with it, but before I jumped into a more complicated project I decided to approach boiled wool with a simpler, quicker DIY - like this top. What I used.. really sharp (recently sharpened) scissors and my boiled wool, along with some clear rulers and a simple top pattern. 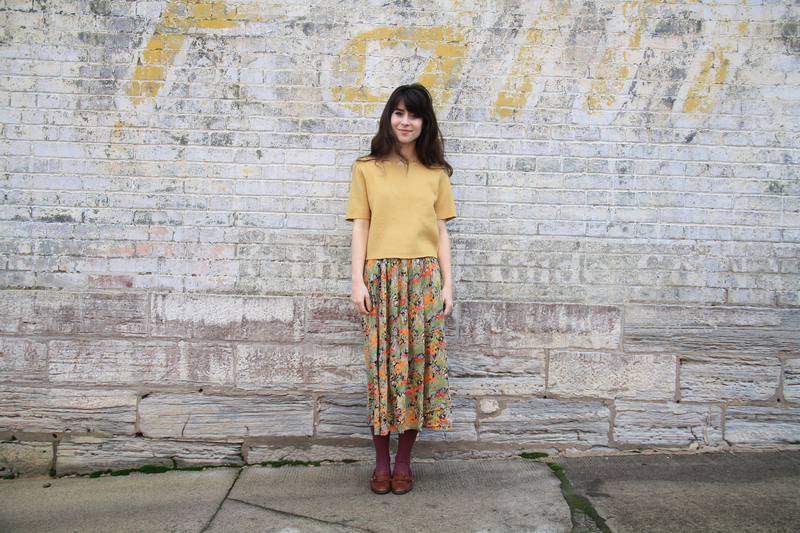 I used the bodice pattern of the Appleyard Pin Tuck dress plus its sleeves. 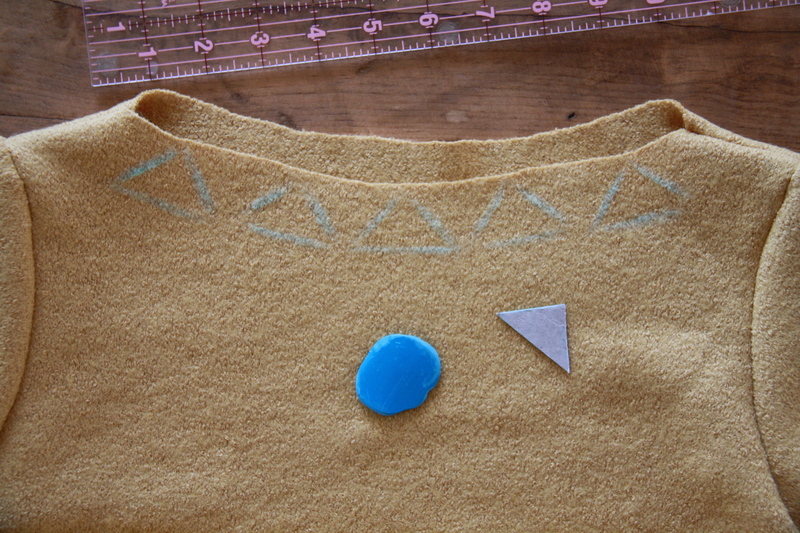 I extended the bodice length by four inches then rounded out the shape at the side seams to give the shirt a boxy fit, extending the sides out in a curve from two inches underneath the arm hole to the bottom of the shirt, taking the bottom edge in by about an inch smaller than the original bottom. 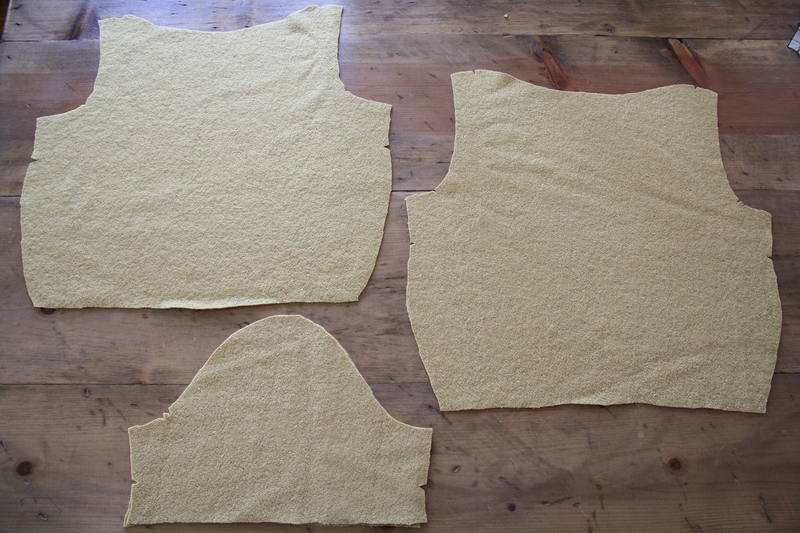 I sewed the seams together - bodice shoulder and sides, sleeve seams, then sleeves to bodice. I trimmed the 5/8 inch seams to about 1/4, and that is it! 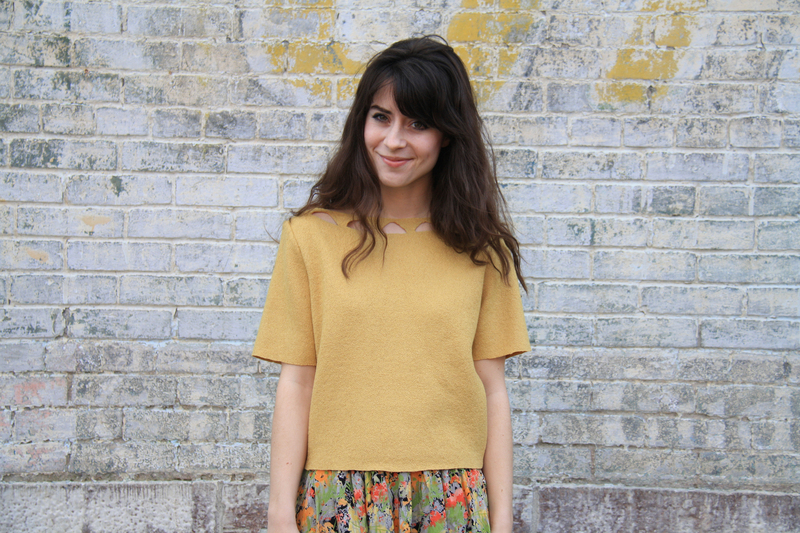 No need to finish any of the hems with boiled wool. Oh the glory. And now for the fun part! 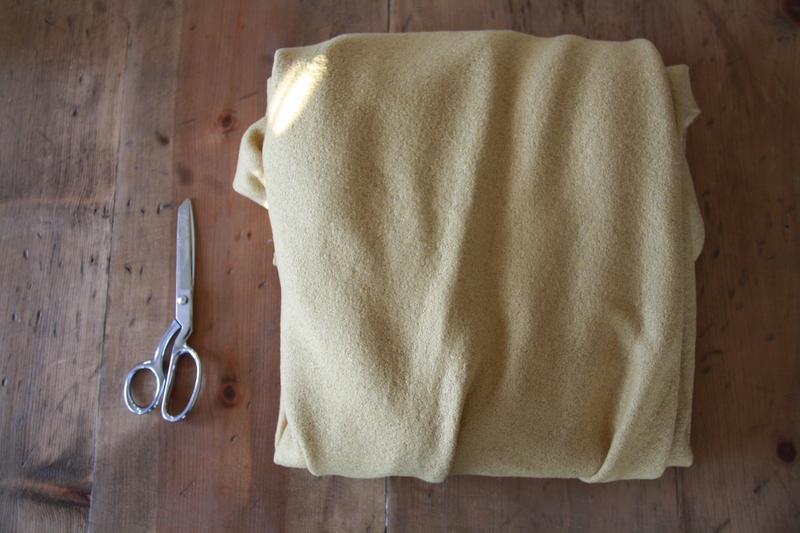 Because boiled wool doesn't fray, it makes an excellent fabric for cut outs. 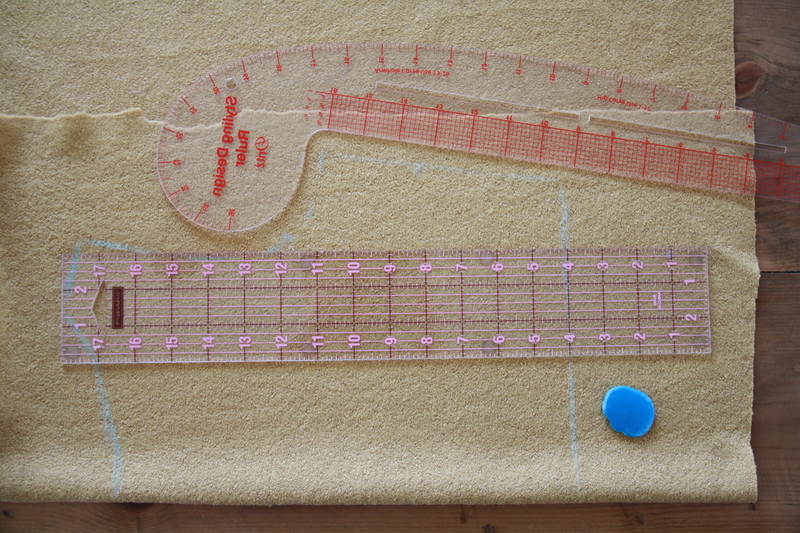 That means if you want a cut out back or a broderie anglaise style shirt without the lace, simply measure where you'd like it, trace, then cut. As simple as that. 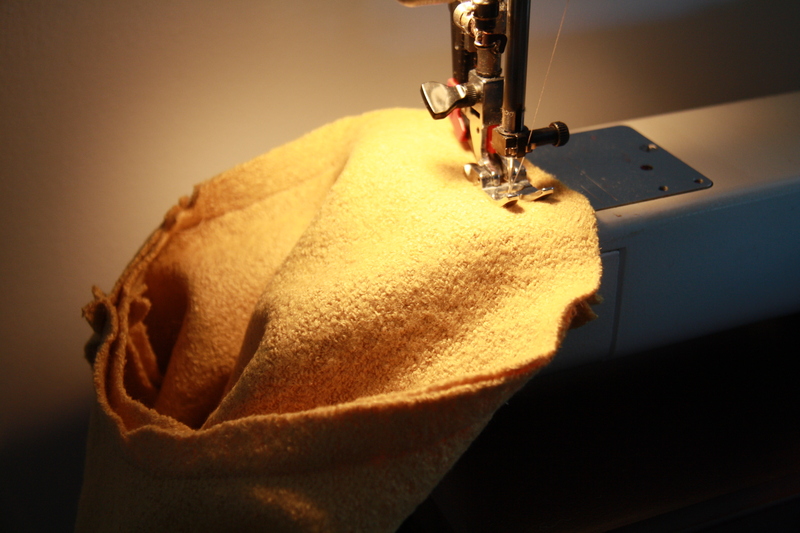 Of course, the fabric is very strong but that doesn't mean it can't be torn so be careful. I recommend a sharp pair of scissors and at least half an inch between cut outs. 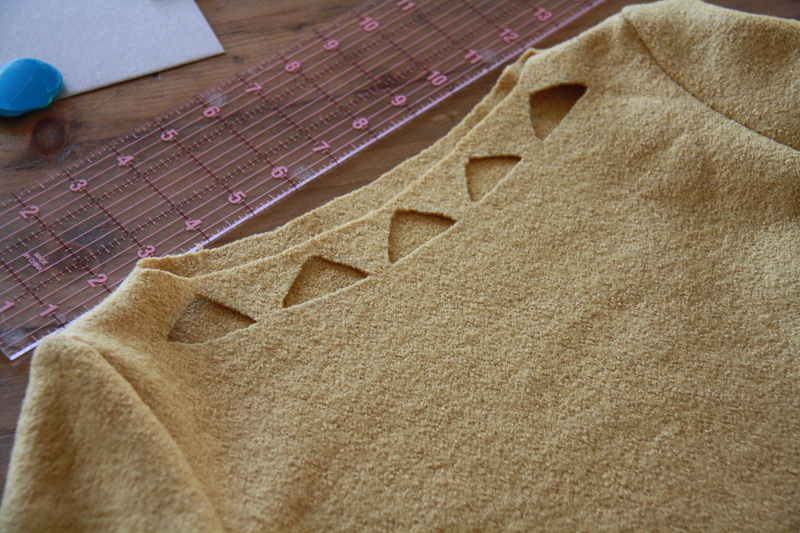 I cut a small triangle, lined up the center of the front neckline, and started to trace - five triangles in all - for an embellished neckline. This project was super quick, but it really is one of my all time favorites. Doubtless I will wear this shirt a lot until the weather warms up, and probably even then.. so soft and warm and the right amount of boxy. 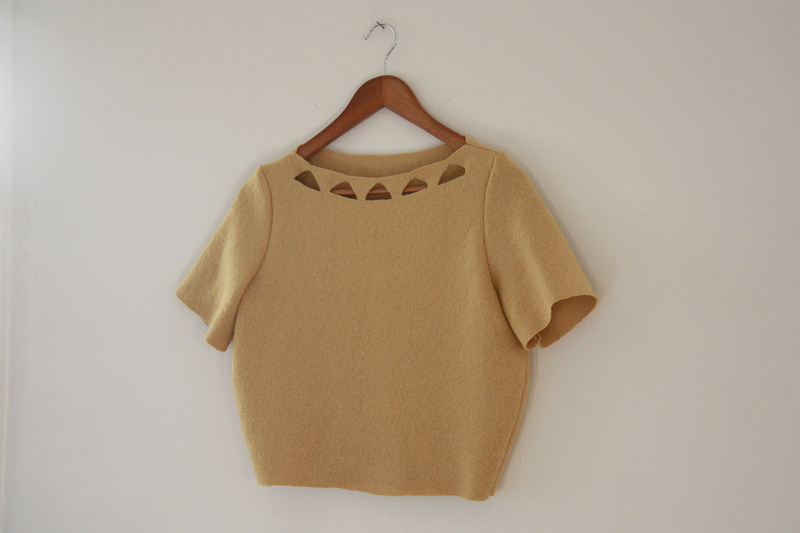 Now I can't wait to sew my jacket out of boiled wool. Boiled wool - especially the stuff Mood sells - highly recommended. With the final push in terms of papers and applications and such, I've decided to take the next week off to focus on getting my last minute school things done. I will see you next weekend, with a new project to share! Happy February, you guys.